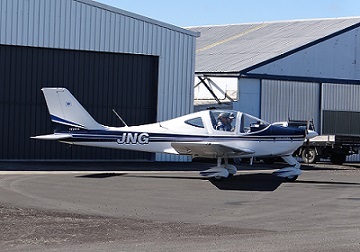 Hauraki Aero Club inc operates an Italian built Tecnam P2002 Sierra sport aircraft. Hauraki Aero Club offers indivisualised, friendly, professional microlight training. As opposed to the General Aviation training structure, designed for people seeking a career in aviation, the mircolight training structure is geared around people of any age who are looking to learn to fly purely for pleasure or as a sport. So while comprehensive it is not as rigorous as for the professional pilot. The curriclum has been designed specifically by the Sport Aviation Corporation (the governing body) and is New Zealand Aviation Authority approved. The Tecnam is a sturdy and reliable aircraft and earning to fly is no harder than learning to drive, but a lot more fun! If you can reach the pedals you can learn to fly. It's as simple as that!